LipoFit by NMR is a competitive alternative to lipid particle analysis tests. High-resolution nuclear magnetic resonance (NMR) technology is used to measure a patient’s lipoprotein particle number and size. It is not recommended to routinely order lipid particle analysis as screening tests for cardiovascular disease. LipoFit by NMR (2013716) Quantitative Nuclear Magnetic Resonance (NMR)/Quantitative Enzymatic Use in appropriate high-risk patients (eg, type 2 diabetes mellitus) in whom LDL particle number is being used to guide therapy. Not recommended for cardiovascular disease risk assessment in most individuals; preferred test is Lipid Panel (0020421). LipoFit by NMR, Particle Count Only (2013715) Quantitative Nuclear Magnetic Resonance (NMR) Use in appropriate high-risk patients (eg, type 2 diabetes mellitus) in whom LDL particle number is being used to guide therapy. Not recommended for cardiovascular disease risk assessment in most individuals; preferred test is Lipid Panel (0020421). Benefits of Lipid Particle Analysis Testing at ARUP? Please contact your hospital or reference laboratory to inquire about pricing, test-request forms, and billing for this test. Patient preparation – Patient required to fast prior to specimen collection. Specimen collection – Greiner Bio-One Clot Activator Tube (ARUP supply #54325) available online through eSupply using ARUP Connect™ or by contacting ARUP Client Services at (800) 522-2787. Also acceptable: Plain Red. 1. 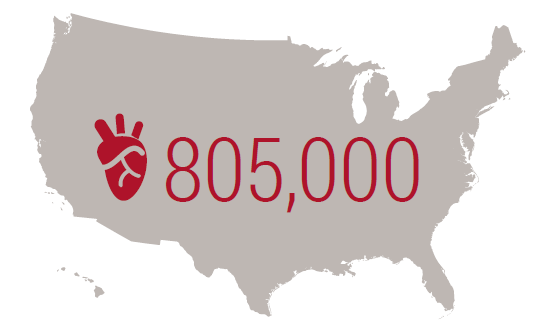 CDC Heart Disease Facts www.cdc.gov/heartdisease/facts.htm (accessed on July 7, 2017). 2. Atherosclerotic Cardiovascular Disease (ASCVD) Traditional Risk Markers—Cardiovascular Disease Risk Markers (Traditional) www.arupconsult.com (accessed on August 8, 2017). 3. Low-density lipoprotein particle number and risk for cardiovascular disease. www.ncbi.nlm.nih.gov/pubmed/15296705 (accessed on July 7, 2017). 1. Patient fasting is required. Elevated triglycerides can interfere with accurate measurements of lipoprotein particle size and number by NMR. 2. Use the appropriate collection tube. Greiner Bio-One Clot Activator Tubes (ARUP supply #54325) or plain red top serum tubes (BD or Greiner) are acceptable. BD serum separator tubes are not acceptable. Use of incompatible tubes can lead to quantitative interferences and/or inability to report results. Tube type compatibility for LipoFit is similar to alternative NMR-based assays. 3. Transfer 4 mL serum to an ARUP Standard Transport Tube (minimum 2 mL required).